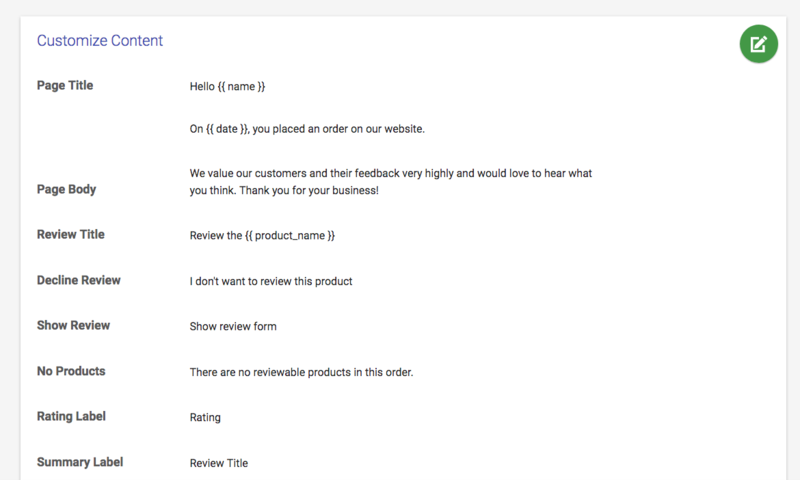 Your Review Booster emails are only part of the equation to collecting reviews. You also need to take a look at the "review collection page", which is the page Recapture will send users to when the click on a link in your Review Booster emails. Click on the Edit icon in the upper right corner (green pencil) to change any fields that you'd like to reword, or translate into another language. Be sure to click Save at the very bottom when you're done making changes.